Conventional wisdom suggests that openness, transparency and consistency are critical values of an authentic and effective leader, and are key to building and maintaining trust with ‘followers’. But this is tricky stuff ! 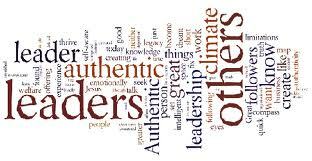 A leader who is open about his weaknesses and insecurities in order to be authentic, risks giving the impression that he is not ‘up to the job’. A leader who prides himself/herself in having a consistent management style (key to authenticity) risks being ineffective or counter productive when dealing with situations where a different style is required. Similarly, some leaders may be reluctant to modify their leadership styles when dealing with a multi cultural or trans generational workforce, where a different approach may be appropriate for different employee sub groups or individuals. The opposite of 2 ! A leader who sees being liked and accepted by his team as key to authenticity tells each audience what he thinks they want to hear. I know of one business leader of whom it was said that his view was always determined by the last person to whom he spoke. So, nobody knew what ‘he stood for’! This is an accusation which is sometimes levelled at political leaders. A leader who seeks to be authentic by building personal relationships and supporting individual team members, may have difficulty in implementing a necessary but unpopular change programme, because of the impact on individuals. It is not necessary or desirable to disclose everything about yourself (or your plans) in order to be authentic. Use your discretion – you can be honest and trustworthy without disclosing your every thought! Experiment with different leadership styles and it is ok and necessary to modify your leadership style depending on circumstances and what works best with different personality types. You should be approachable as a leader, but it is wise to maintain a certain distance from those that you lead. This does not make you less ‘authentic’. Be true to your values and principles but recognise that they will evolve over time and this is ok.
As a coach I work a lot with clients in developing their self awareness, a critical starting point for being ‘authentic’. But this should be viewed as ongoing work in progress, rather than a one off exercise. ‘Who you are’ today is probably not who you were 10 years ago or who you will be in terms of aspirations, values and beliefs 10 years from now.